Are You Looking to Buy a Lehi Utah Ivory Home? Here is a Lehi Utah Ivory Home for Sale. It has 3,675 square feet with an unfinished basement and is situated on .20 acres. 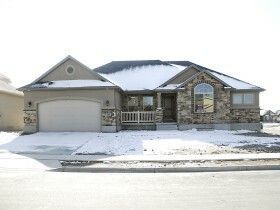 This rambler is located in a Lehi Utah Ivory Home Subdivision called Colony Pointe. This Lehi Utah Ivory Home is currently SOLD.